is a sophisticated blend of macro nutrients, micro nutrients, bio-stimulants, carbohydrates, and trace minerals guaranteed to give the grower heavier and higher quality yields. The potent Bio-Stimulants in C4 cause the plant to produce massive amounts of essentials oils and sugars. Use a 4 ml to 8 ml per 1 gallon starting week 2 of Bloom thru week 6. C4 will make your bloom EXPLODE! 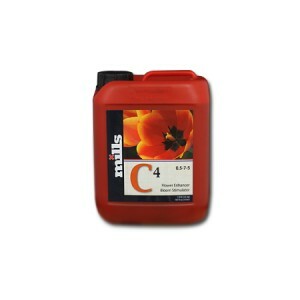 Compatible with all growing medium and watering methods.